Now, I love skiing. I always have. But I think a big part of the attraction of many winter sports is – well, no one can tell you have a diaper on underneath. So winter fun has its own very special dad/son elements as well. Aside from just plain spending time with a little guy, which is the ultimate on its own, there are soooo many amazing things related to play time in the snow. An adult baby rarely has to worry about diapers showing (for those of you who worry that is). And even leaks are barely an issue – with all the tumbles and snow angels and snow ball fights who cares about another wet spot on your snow suit? But there’s also something really special to a dad about getting his little guy ready to go out in the snow. All the extra preparation makes it an incredibly warm experience for dad. And then there are all the awesome layers – plastic pants maybe, a fleece onesie, fleece long johns (I’ve seen some amazing long onesies which would be ideal), a cute knit sweater with puppies on it maybe. Then it’s time to get your little guy bundled up, and there’s nothing better than a snow suit to make him feel snug and warm. 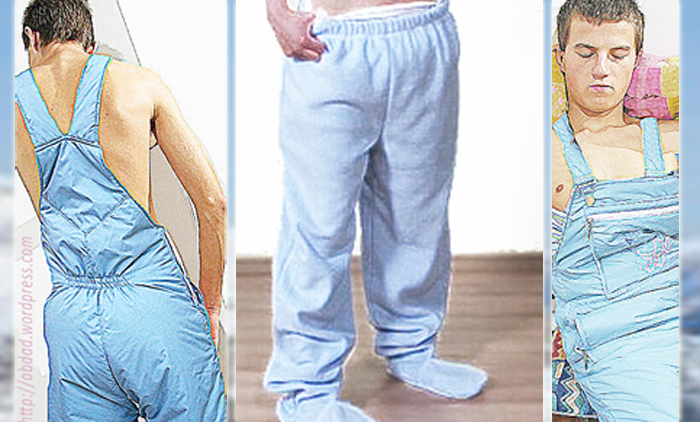 (The clothes in the photos are from an supplier in Germany and are made for adult babies). Add the scarf, mitts, and then helping your little one with his boots and the whole experience is so amazing for dad. I got to thinking about all of this today and I had the warmest most amazing feeling. All that care and attention, dressing a little guy, and then the good clean air and all the fun, and no worries about boring old potty breaks like the other kids on the slope. One of those many times when keeping your boy in diapers pays off big time. But for me, the feeling for a dad is something else – not just practical, but there’s something about the added layer of care and protection – not just the diapers and letting a little guy feel safe to be himself, but you’re also providing protection from the cold, and you’re given lots of ways to show a little guy that you care. After a day in the snow, it’s back to the lodge or chalet for lots of snuggling time, footies, sleepers and early to bed (or crib). 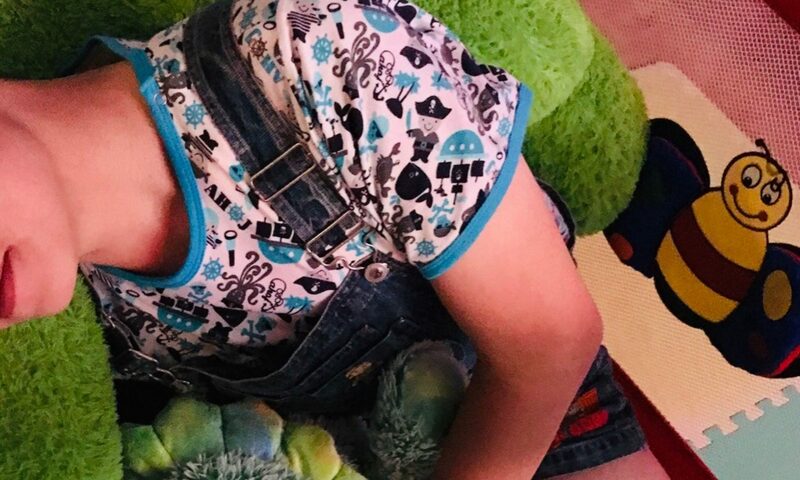 Your toddler will be tired out from all the fresh air and probably feeling kind of sleepy with a warm emotion that dad was there to dress him, have fun with him, and give him extra special care and attention throughout the day. Who could ask for much more than that as you watch your baby boy fall asleep after a day in the snow? I have never skied before either. My brother and sister both have but they never offered to take me because I am the Baby Brother… I think I would be to scared to go anyway even if they had asked. I have Ice skated and roller bladeing in San Diego is almost second nature and done for fun on the weekends. Thick Diapers work well for falling on your behind. I think I would I would like to try skiing if I had a nice Daddy or Big Brother that would be patient with me and guide me in the right direction. never underestimate the power of a dad’s simple gesture to heal the heart of an ab boy. being lovingly taught to ski or skate or swim or anything we missed in actual childhood is a wonderful thing, especially when given in the same way you would a little one. so many kids are shamed or made fun of that is can take a patient dad to give us space enough to discover the joy of learning those things. daddy josh sure seems to understand!! skiing is a perfect excuse for wearing diapers even in the daytime. u can save so much ski time if u dont have to get off the slope, take off ur skis, go stand in line for the boys room, the try to get it all back together to get to the lift again. besides getting out in the cold always makes u need to pee. its like major sweet when u can warm urself peeing ur diaper on the lift while everybody else is cold and having to hold it . one of my best friend’s uncle used to take us up for the weekend and i talked my friend into trying it with me, and he saw what a nice thing it is too. having somebody to diaper us would have made it totally hot. next time i get to go skiing i hope it is with somebody who will do that. I am now dying to know what supplier in Germany the clothes are from! Care to enlighten us all? Privatina is the supplier – AMAZING stuff although to some people it’s expensive. I would like to know where you can actually buy an adult baby snowsuit for an adult baby girl. Being thickly diapered under my snowboard pants is an awesome thing. Fun Carving my way down the slope knowing I have nothing to worry about. No need to rush to the bottom to use the restroom.